Preparing the right dressing can make the difference between a flavorful salad and a bland one. 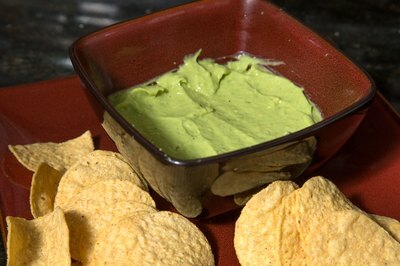 Garlic avocado dressing offers fresh ingredients and a creamy texture reminiscent of guacamole; yet with a lighter consistency. You can replace store-bought dressings with a homemade Southwestern-influenced topping to mix with greens, pasta salads and taco salads or to serve as a dip with fresh vegetables or tortilla chips. Peel the skin off two avocados and remove the pits. Chop the avocados into 1/2-inch slices with a knife and place the slices in your food processor. Chop and add 2 tsp. of garlic. Chop and add four green onions. Remove the seeds of two lemons or limes, based on your flavor preference. Squeeze the juice from the lemons or limes into the blender. Add 1/8 tsp. of salt and 1/8 tsp. of pepper. Puree the ingredients. 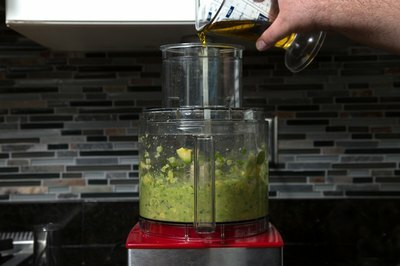 Pour ½ cup of olive oil through the feed tube on the food processor while the ingredients are blending. Stop the food processor when the ingredients form a smooth consistency. Adjust salt and pepper to taste. 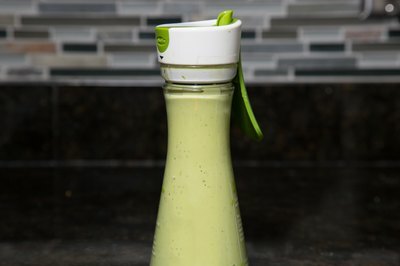 Pour the avocado dressing in a salad dressing bottle and refrigerate until serving.